Established in 1935, this quaint village bears the name of one of the officers of the Carignan regiment, as do many other villages in the region. Located on a peninsula, this municipality is your true nature destination. In addition to its many bodies of water, you will find a walleye spawning ground, a charming park and a game-abounding hunting territory where you may stay at an outfitter’s. 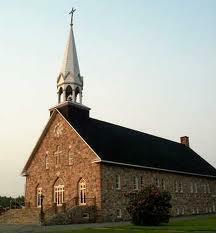 There is also an old paddle-wheel water mill, as well as a cut-stone church; the pride of its parishioners.